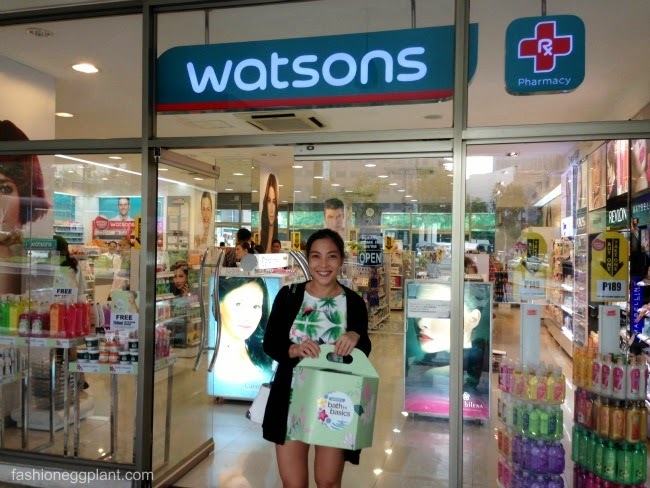 watsons bath to basics + giveaway! Love your body. Love yourself. We all lead busy lives and I keep my bath regimen short and simple to make time for other tasks at hand. I don’t see my bathroom as a sanctuary but more as a workstation where I need to get things done as quickly as possible. This attitude and routine of mine often sets the pace for my day which almost always ends up rushed to borderline stressful. By changing our attitude and learning how to give ourselves a little more time to indulge in a pampering ritual at the start of our day, we immediately shift our mindset from stressed to refreshed and efficient. 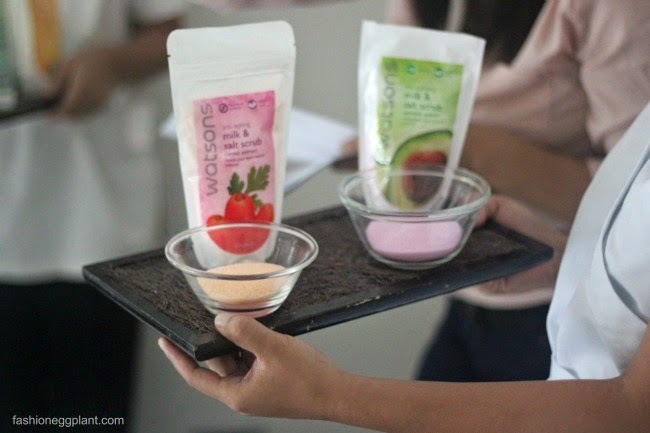 To give us more tips on how to make the most out of our time in the shower as well as to educate us on the many benefits we can enjoy by boosting our bathing ritual, a guest speaker was invited by Watsons. Ms. Olen Lim gave us an entertaining talk about bathroom styling and how taking care of ourselves daily works wonders for boosting our morale and over-all health and skin situation. According to her, looking good always equates to feeling great. I can’t imagine myself practicing that especially on red days when I feel most icky but apparently there’s still quite a handful of women who do. And I’m sorry to break it to you sweetheart but the only reason this practice came about was because bathing used to be a communal thing and understandably, nobody wanted to see the sight of menstruation around them while taking a bath so women with their period were banned from the public pools during their cycle. Can I just say this whole new regimen really works? After my scrub, I felt so relaxed and my mind was so clear and open. It felt like my brain did a really good exercise which allowed optimum circulation and alertness. A couple of skills that came in handy for the next leg of the event which was a shopping challenge at a nearby Watsons store. 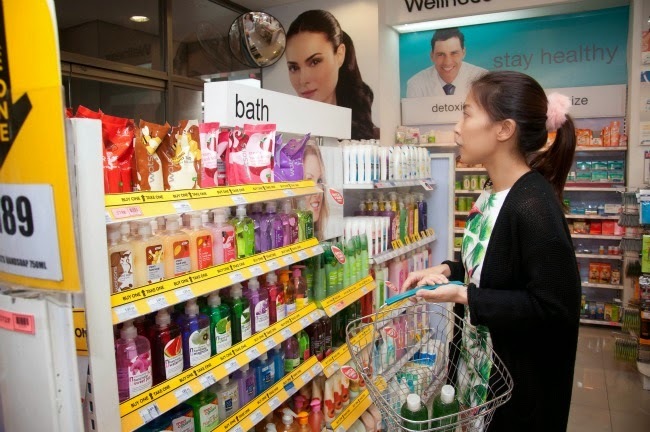 Our challenge was to shop as many Watsons Bath and Body products as we could with a P1000 budget in under 15 minutes. That’s a time cap. Usually, when there are time caps involved my mind engages into “combat mode” but this time it didn’t. I was relaxed as a pea but still managed to complete my task with flying colors and LOTS of time to spare. This is what totally made me realize the truth behind Watsons new Bath To Basics campaign. I highly suggest you try it yourself, you don’t need to do it everyday, just make sure you try to squeeze it in a few times a week especially on exceptionally stressful days. And don’t worry about budget, to support their new Bath To Basics campaign, Watsons has come up with exciting promos to encourage us to upgrade our grooming and bathing habits! A great example is of this is their Hand Soap promo. SM Advantage card holders get a FREE 750ml limited edition hand soap for every P400 receipt which includes a participating product. Don’t have an advantage card? Just spend P100 more to enjoy the same reward or get freebies from well-loved brands such as Dove, A Bonne’, Nivea, Gluta-C, Moringa-O2, Asian Secrets, Erase and Jao Ming, Yoko, Cosmo Skin, Cetaphil, and GlutaMAX! There’s always more to look good and feel great with Watsons! Especially now with this special giveaway! Win your very own Watsons Bath To Basics Pampering Kit! Guess how much this Watsons Body Scrub BUY 1 TAKE 1 bundle costs. Leave a comment with your name, answer, email address and tweet URL. Giveaway will end on August 31, 2014. 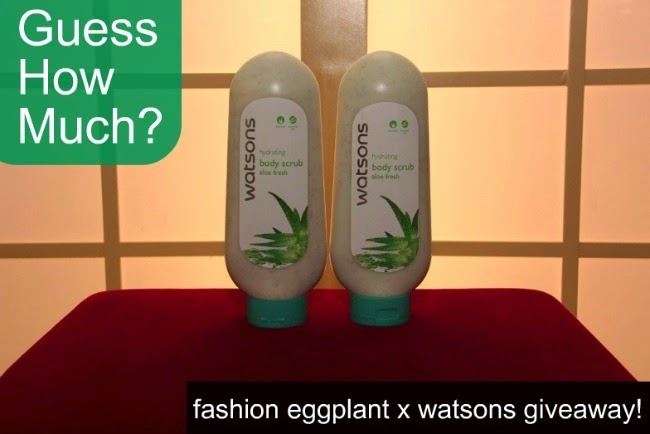 Two readers with the correct answer will win a Watsons Total Pampering Kit! My magical moment was when my children were born. Php 139 for each bottle. My magical moment was during my 18th bday because it was a surprise party organized by my parents and close friends. I can't help but cry because it was really unexpected! Watsons Body Scrub BUY 1 TAKE 1 bundle costs Php 139 each Bottle. Answer: I guess that the amount of watsons body ccrub buy 1 take 1 bundle cost is PhP 139.00. There is no buy1 take1 offer for this item. Having a family to love and be loved is the most magical moment that happened to me and that is true love. My most magical moment is when we celebrated the 6th year of my business names after my lolo. I was so happy and the feeling is very surreal to be able to reach 6 years of existence. The most magical moment in my life was my 18th B-Day .